At The Rented Event we believe your event should be elegant and memorable, reflecting your unique personality and style. We're the perfect answer for those in search of a gorgeous rentals for both indoor and outdoor events. From wedding flowers to complete ambience transformations, our wedding design services cover every last detail involved in the look and feel of your wedding. We will customize your wedding to your vision and guide you smoothly to your special day. Complimentary consultations available. We offer Gold with ivory cushions, Silver with white cushions, Mahogany with ivory cushions and Black with black cushions. 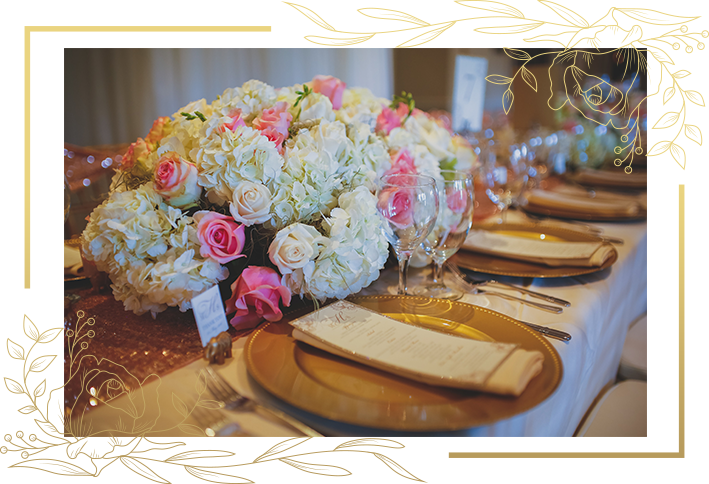 Our design services range from a small elopement to a large celebration with centerpieces, floral arrangements and decorations throughout a venue. Enhancing your event space with ambient lighting could never be easier or more beautiful than with our seamless LED color lighting technology.